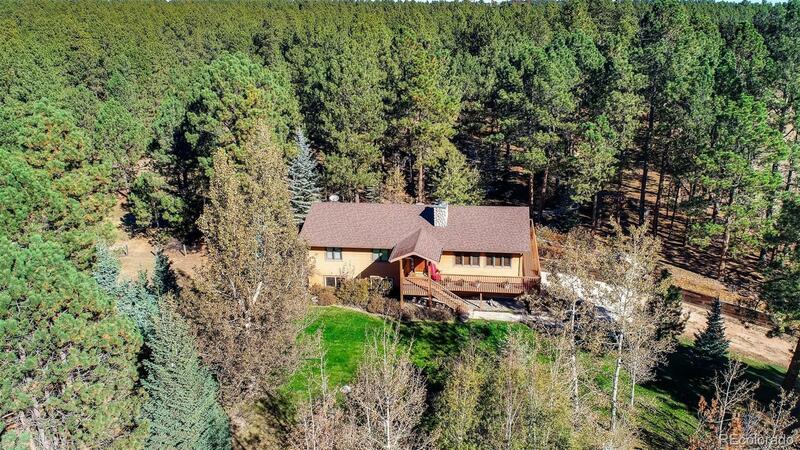 Rare ranch home on 8 acres of treed property. Spacious kitchen with new granite counters. Open floor plan with vaulted ceilings. Large windows provide an abundance of natural light. A spacious main floor-master bedroom has a private deck and an ensuite five-piece bathroom. Property has an 18-hole disc golf course volleyball and basketball court, fun for the family and guests alike. This property also boasts a 1440 SF heated workshop with concrete floors and large shelving that stays with the property. Two-year old roof.